At first glance I must confess that I thought the black and white picture on the front was a chicken minus its head. Of course it isn't - the garlic bulbs along side a piece of parmesan cheese are a somewhat more obvious addition. Apart from that it is a fairly well designed pack - the colours signify the different flavors, the branding is smaller than the explanation of what they are: Kettle Chips. I would prefer the flavor wording to be a little more prominent and perhaps a bit more jazzy, but it ticks the important boxes, if in a little lacklustre fashion. A very good crunch, as with most Kettle Cooked Chips. The firmness of the potato chip made it feel like you were biting into a solid and well considered snack food. 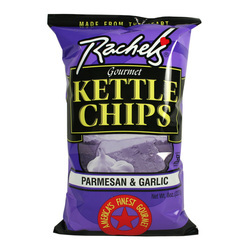 As with most Kettle cooked chips these are thicker than regular chips. Large in size and with very few broken chips in the bag. The nature of the flavor provided little in the way of coloring or finger residue. While greasy, they were not nearly as oily as many Kettle Cooked Chips. On opening the bag a slight garlic aroma arose. It was quite subtle, which garlic flavoring should be. 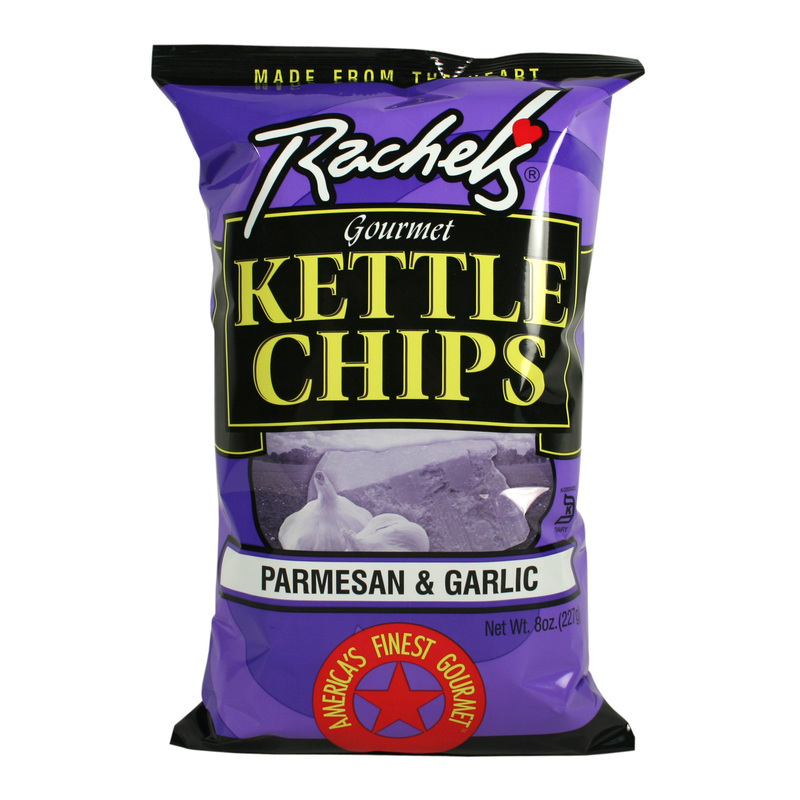 Almost contradictory possibly, but the flavor was mild - which in fairness, a combo of garlic and parmesan as a potato chip probably should be. However, that said, if a flavoring combo needs to be mild maybe it should be reconsidered. That bit is however an opinion not a consideration for review comment.